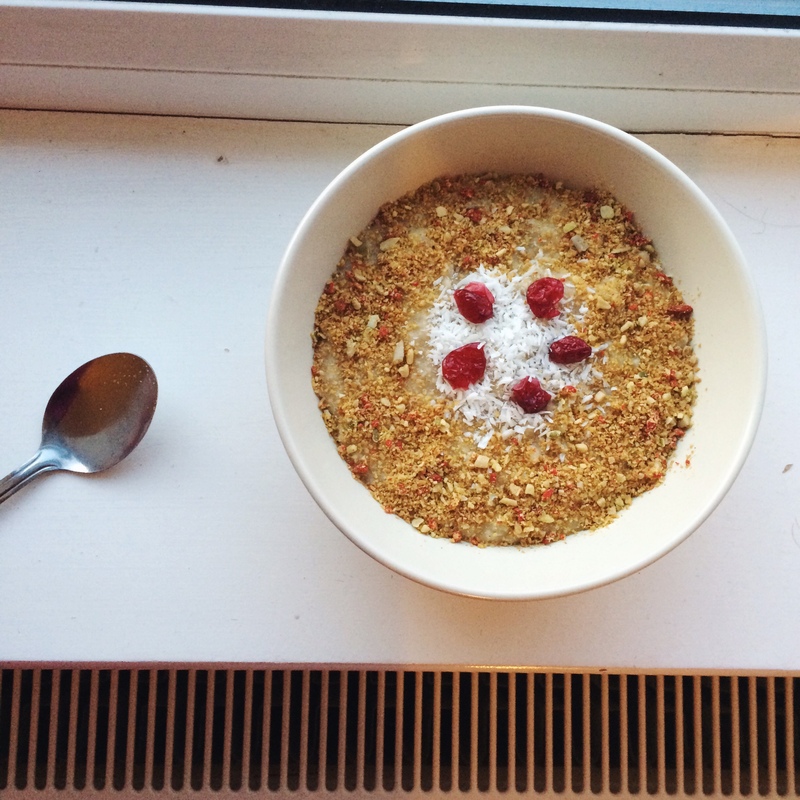 THE MORNING BOWL | new blog project. REFINED SUGAR: no thanks, I’m sweet enough. The first episode of the BBC documentary series ‘The Truth About…’ aired a few nights ago and focused on most people’s guilty pleasure and go-to snack buddy: SUGAR. The programme was well-structured and gave very informative information regarding Britain’s sugar intake and highlighted the differences between natural and artificial sweeteners. The effects of high sugar consumption were also presented, including its effects on our brain and eating habits. The programme prompted me to analyse my past relationship with the white stuff. Sure, I barely have refined sugars nowadays and I always look for the sugar content in anything I buy from the supermarket but how smart do I have to be to ensure the 6-teaspoon daily guideline is not exceeded? 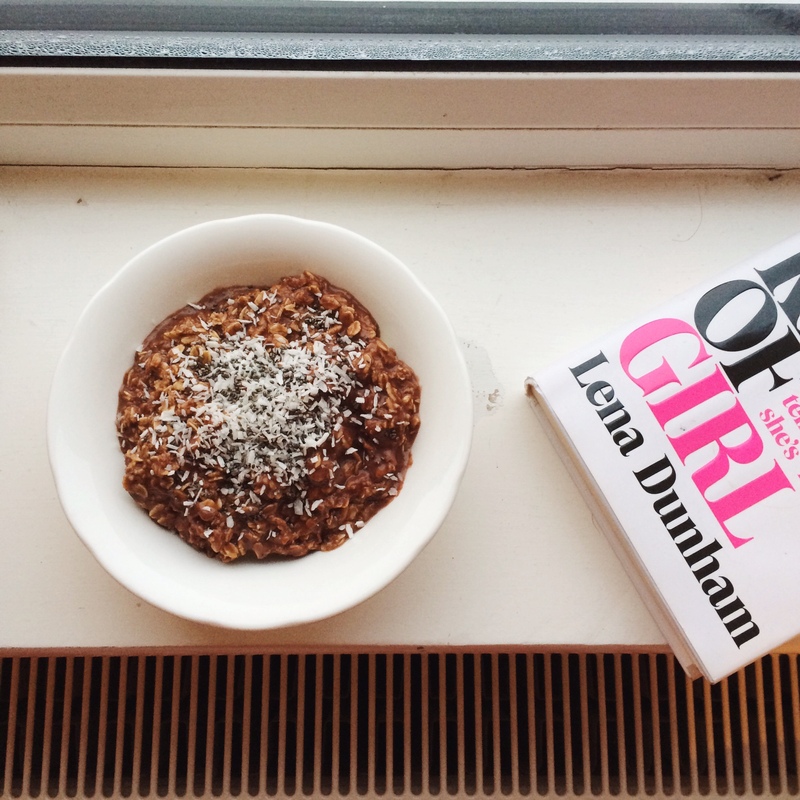 Continue reading REFINED SUGAR: no thanks, I’m sweet enough. Posted on March 22, 2015 March 23, 2015 Categories Food & Drink, Healthy, Lifestyle, OpinionTags Free from, healthy, I quit sugar, Lifestyle, Refined sugar, Student, SugarLeave a comment on REFINED SUGAR: no thanks, I’m sweet enough. As previously posted, I hate food waste. 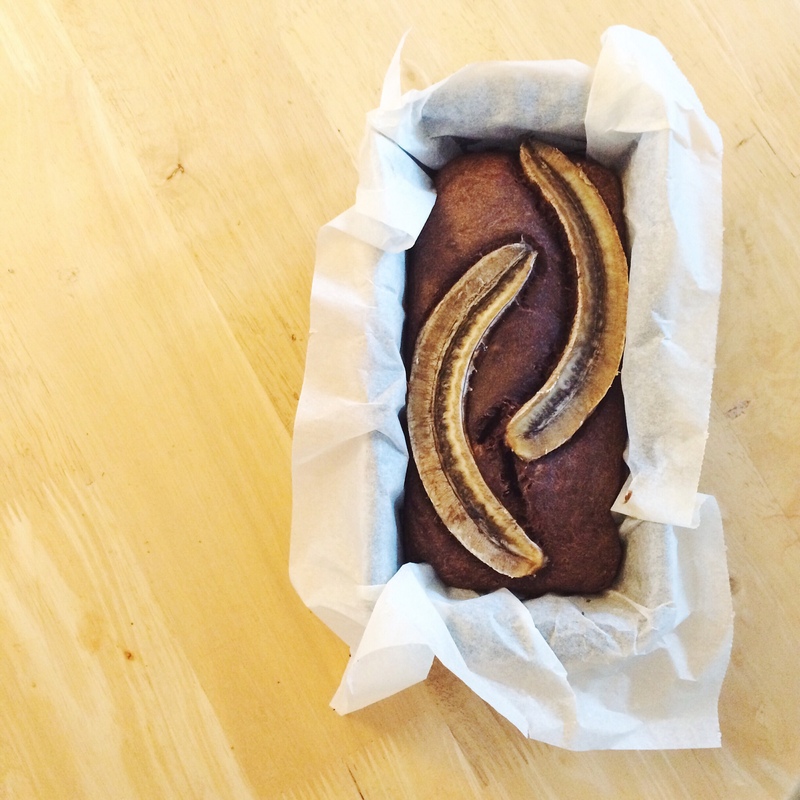 Last week, I was able to use bananas for some top-notch banana loaf. Due to my overexcitement at the thought of fresh banana bread, I bought more than necessary, only to be left with mushy bananas for breakfast. The solution? Embrace the bruised and mushy bananas in porridge. This weekend I was unfortunate enough to be burdened with some wisdom tooth pain. I had to abandon most of my commitments, including work and study, but trying out new recipes was possible; I was in dire need of coming out of an enforced liquid diet. I experimented with Natasha Corrett’s turmeric omelette with some leftover vegetables in the fridge – I absolutely hate food waste (who doesn’t?!) and this weekend has also allowed me to peruse some very ripe bananas I have accumulated from the last week or so. As it is Fairtrade Fortnight until 8 March, I plan to support the cause by posting a couple of recipes which uses Fairtrade products. Buying Fairtrade goods not only ensures the producers get fair wages and good working conditions, communities are also benefactors, with many schools and small businesses profiting from our everyday food and product choices. Pancakes aren’t just for Shrove Tuesday; they are for life. 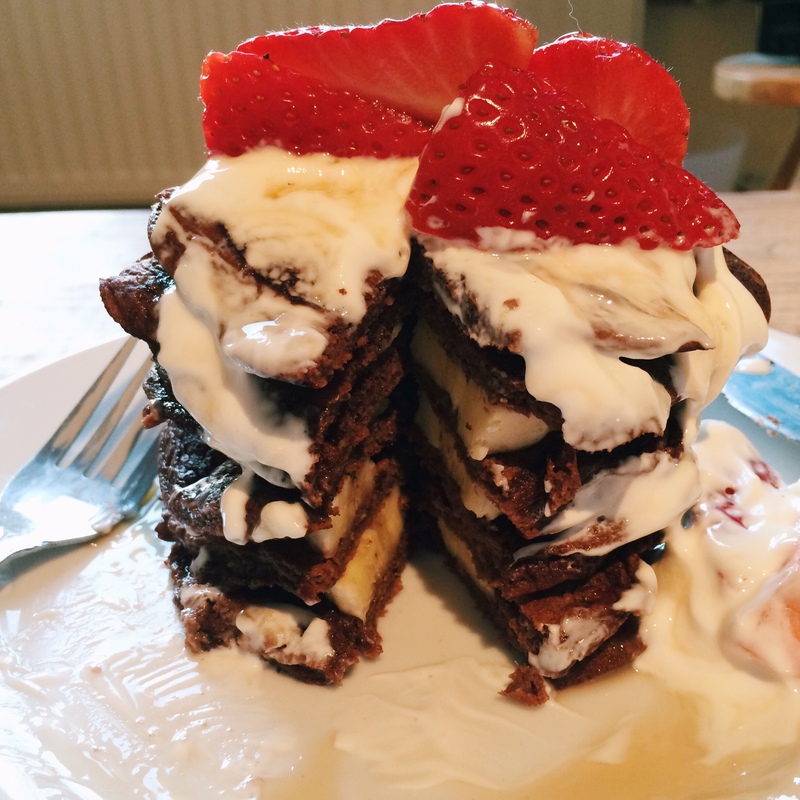 As it was Pancake Day a few days ago, I celebrated by creating a stack of 6 pancakes, made from awesomely whole and healthy ingredients. I cannot tell you how quickly I devoured the whole stack, leaving a very clean plate at the end. After what felt like months at the silent study corner in my university library, I have finally re-gained some freedom after my first set of exams this year. Celebrating this feat, along with my friend Fabia’s anniversaire, a trip to Paris was booked. 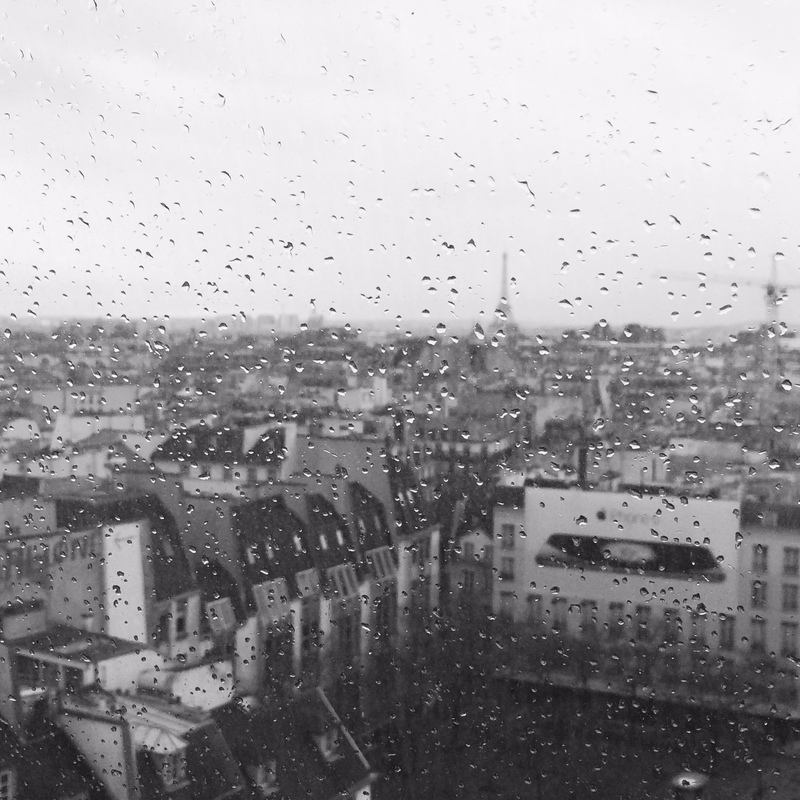 After a few mishaps getting there (waking up late and taking the wrong train), Paris welcomed us in its dreary, wet and cold state. 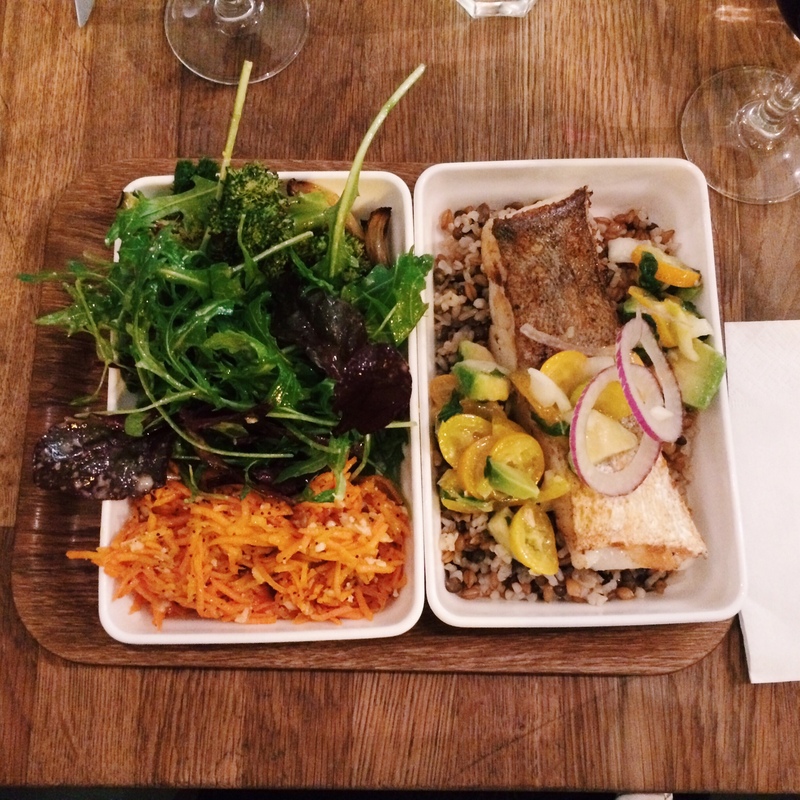 Now, this may have been an unfortunate set of circumstances for some, but Fabia and I embraced the cold air and explored Paris on our feet, with our adventurous stomachs in tow. 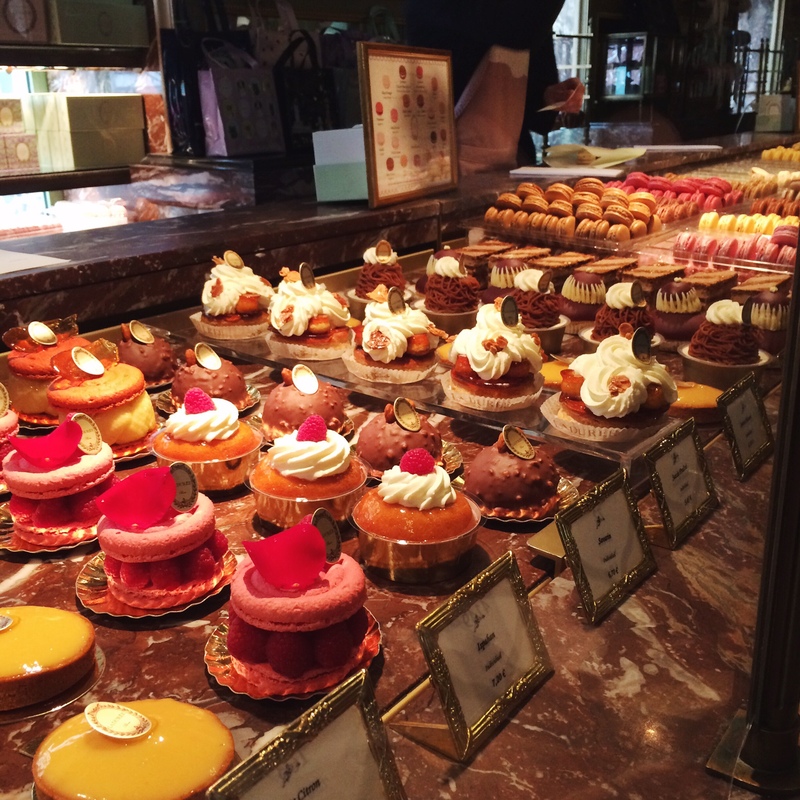 My recent trip to Paris contained a few highlights, including a man eating my crème de marron-filled crêpe then proceeded to ask me out on a date in the middle of the street, and witnessing a cheese platter to rival every other plateau du fromage in existence.